The manufacturer of a product generally has a duty to warn the end-consumer of any serious risks associated with that product. In the context of prescription drugs and medical devices, however, the “learned intermediary” doctrine holds that the manufacturer need not warn the end-consumer (i.e., patient). Instead, the manufacturer discharges its obligations by warning the prescribing physician. Last month, in In re Zimmer, NexGen Knee Implant Product Liability Litigation, 884 F.3d 746 (7th Cir. 2018), the U.S. Court of Appeals for the Seventh Circuit issued a powerful endorsement of the rule, applying it under Wisconsin state law for the first time. 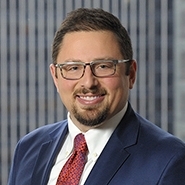 To continue reading Jonah Knobler's article from Washington Legal Foundation, please click here.